The Zimbabwean (34) whose identity has been protected, who has been in South Africa for the past 10 years. "A few weeks ago, I decided to give lotto a try for the first time and I won just over R200. I decided to play again. I did not think much about the numbers, I just randomly selected them. I could not believe it when I learnt that I had a winning ticket. I won R12m!" he said. "My parents passed away when I was still very young and my sister had to step in as a mother figure to my siblings and me. Growing up in a child-headed home was tough – the poverty just never improved. "When I was in my early twenties, my friend who was already living and working in Durban suggested that I come to look for work in South Africa to help ease my circumstances at home. I stayed in Durban for five years and during that time I worked a lot of different casual and domestic jobs. "One of the companies I worked for in Durban recognised my hard work and offered me a permanent job at their head office in Johannesburg. "This move changed my life. I was able to rent a decent place and was able to help my family back home to have food on the table every day. I thought that my life could not get better than that. The man said he planned to buy a car and house for himself, renovate his home back in Zimbabwe and invest the rest of the money. 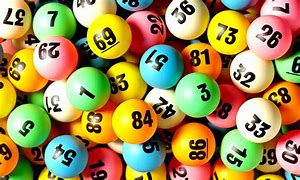 Ithuba moved to clarify that the lottery was not reserved for South African nationals only. "Anyone who is 18 years or older, holds a valid proof of identity and has a valid South African bank account is permitted to play, win and claim from the national lottery" Ithuba said.